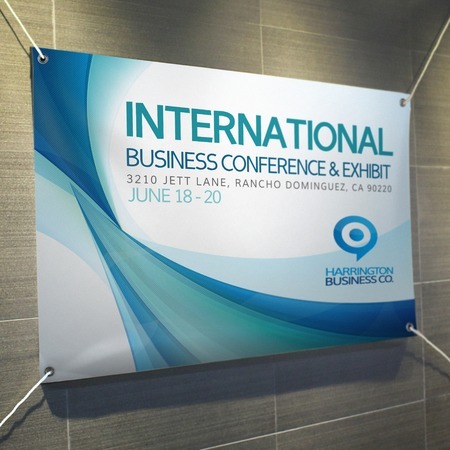 Go big when it comes to promoting your business by using large format marketing materials like banners. You can use them for store advertisements, party decorations, and retail promotions. UPrinting offers custom vinyl banners for both indoor and outdoor use. Your high quality banners can be printed on 13 oz. or 15 oz. PVC Vinyl material. They have a smooth non-reflective matte finish for great visibility even in bright light. You can make your banners with printing on one side or both sides. We also have grommet and pole pockets options for easy installation. Choose from various sizes up to 10' x 5'. For any questions about your banner options, you may reach us at 1.888.888.4211. Our lines are open 24/7 from Mondays to Fridays, and 8 am to 5 pm PST during weekends.